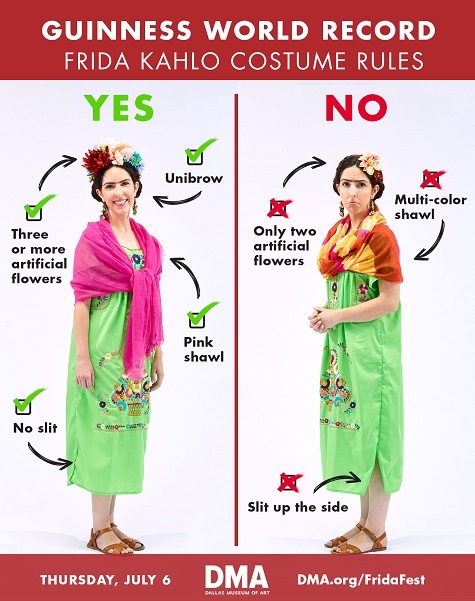 You may have heard that the DMA and the Latino Center for Leadership Development are trying to make history by setting the Guinness World Record for the largest gathering of people dressed as Frida Kahlo in one space on Thursday, July 6. Months ago, we submitted our application to Guinness World Records and received the green light to make our attempt. 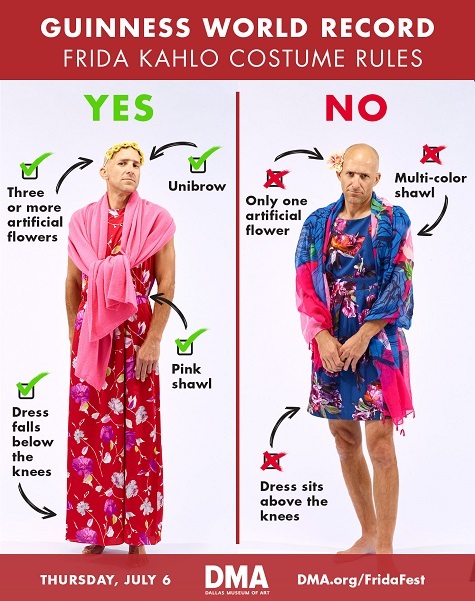 Guinness World Records, which has been documenting interesting and unique achievements and extremes since 1955, provided a list of costume rules that must be followed in order for the DMA and the LatinoCLD to set the record. 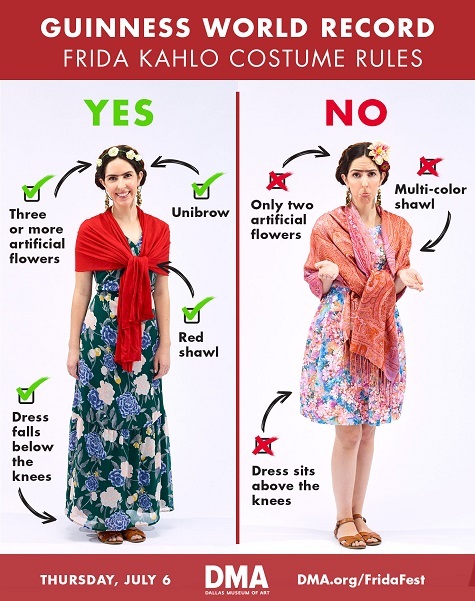 Below are a few helpful guidelines when planning your record-setting outfit. The record attempt is all inclusive and open to everyone, see you on Thursday, July 6!